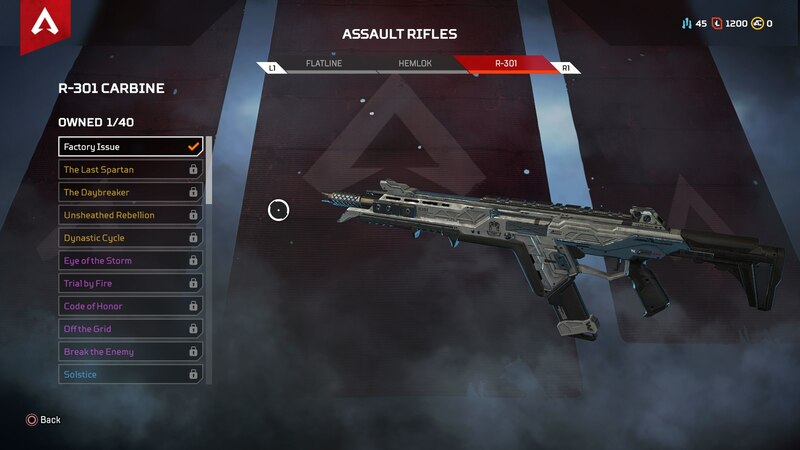 Apex Legends guns, including the best pistols, shotguns, assault rifles, sniper rifles, SMGs and LMGs, and full damage stats for every gun. 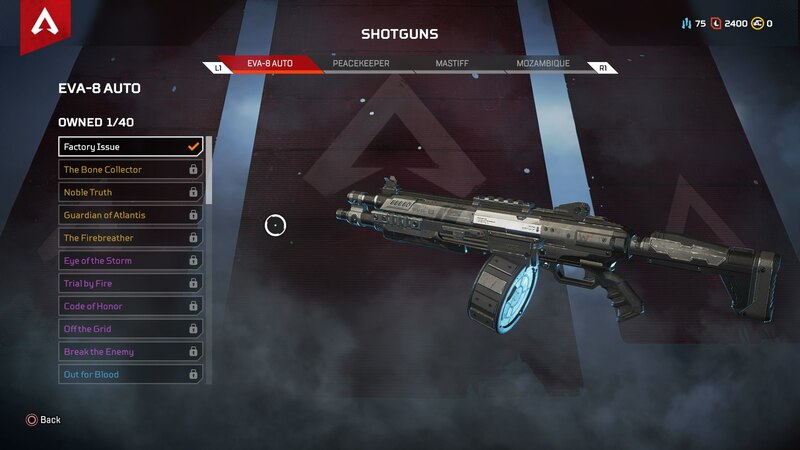 There's a huge amount of guns and weapons for you to use in Apex Legends, but you'll obviously have to track them down first. 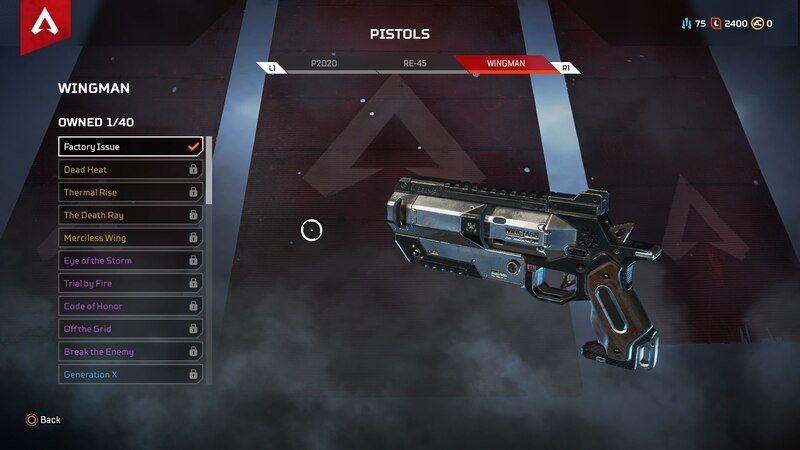 In our Apex Legends guns guide, we'll be providing you with all the information you need on guns in the game, including our complete Apex Legends gun tier list, so you've got a list of the best guns in Apex Legends, all in one place. 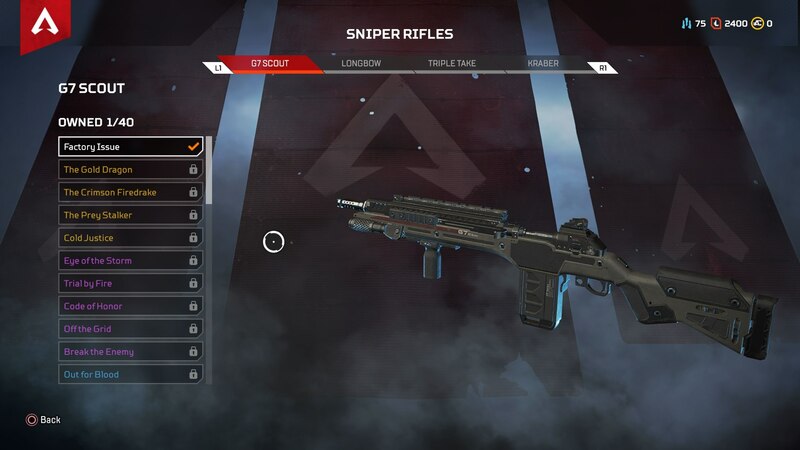 Throughout the guide below, we’ll be providing you with all the details you need to know about every single Apex Legends gun, categorised by type. There’s everything you need to know about the damage of every pistol, shotgun, sniper rifle, assault rifle, submachine gun, and light machine gun. 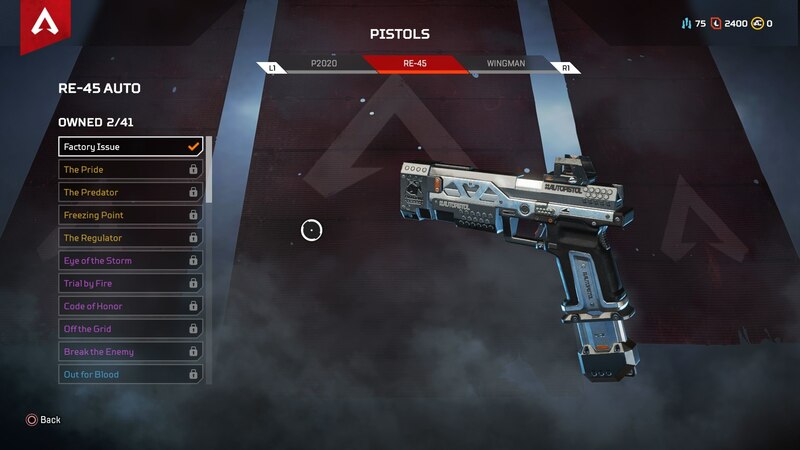 The P2020 is the standard pistol of the Titanfall series, and it makes a return in Apex Legends. It uses light rounds, and a single magazine holds 10 bullets. This pistol feels a bit like a smart pistol, dealing out decent damage, with minimal recoil. It uses light rounds and can hold 15 bullets in a single magazine. 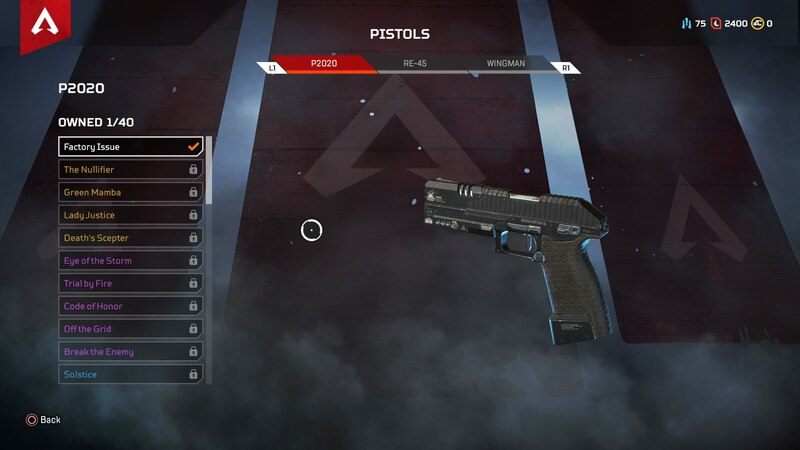 The heaviest pistol of all the various Apex Legends guns, this desert eagle-like weapon uses heavy rounds, and can hold 6 bullets at a time. The EVA is an automatic shotgun, sacrificing damage for fire rate. It uses up shotgun shells, and can hold a total of 8 shells in one round. The Peacekeeper functions just like your standard pump action shotgun. Damage is more complicated with this shotgun, as there are 11 pellets fired in each blast, and every pellet deals 10 damage to the body, or 15 to the head. The Mastiff is a pretty rare shotgun, and fires in one horizontal line. 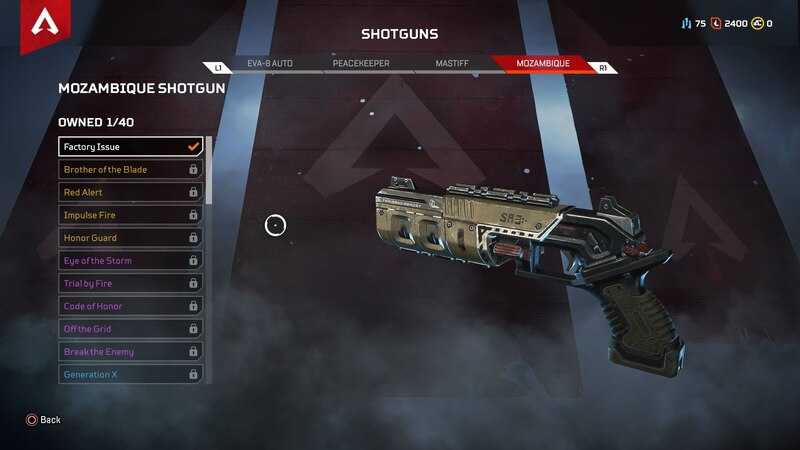 Once again, this shotgun fires 8 pellets fired in one burst, and one each deals 18 damage to the body, and 36 damage to the head, making it potentially one of the best Apex Legends guns in the whole game (more on that below). At one point the Mozambique was classified as a pistol, but it’s now been moved firmly into the category of a shotgun. This Apex Legends gun uses heavy rounds, and holds 20 bullets in a single magazine. The Hemlock assault rifle fires in bursts of three shots, making it considerably more accurate than the other two weapons in this section. It uses heavy rounds like the Flatline, and stores 18 shots per magazine. 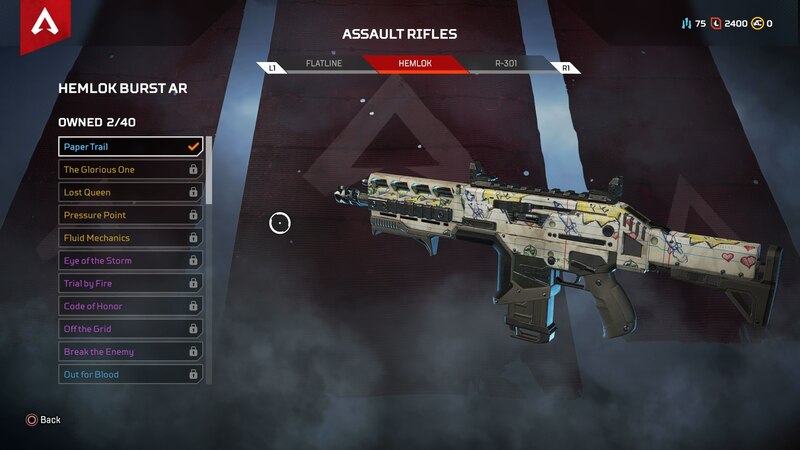 For a change this assault rifle uses light ammo, and was widely considered to be one of the best weapons back in Titanfall 2. 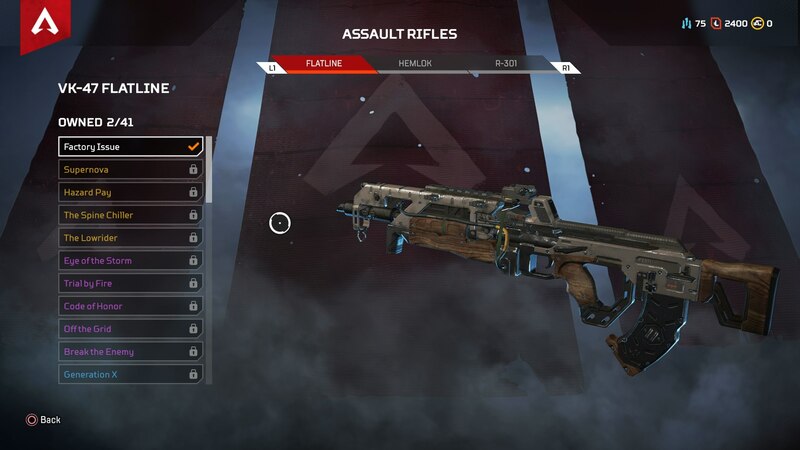 The Havoc assault rifle was only recently added into Apex Legends, well after the game originally launched. This is the only assault rifle in the game to take energy ammo, and the damage stats below are based on minimum charge-up times for each shot that the Havoc fires. The Scout is the fastest firing sniper rifle on this list. It uses light ammo, and holds 10 rounds in a single magazine. 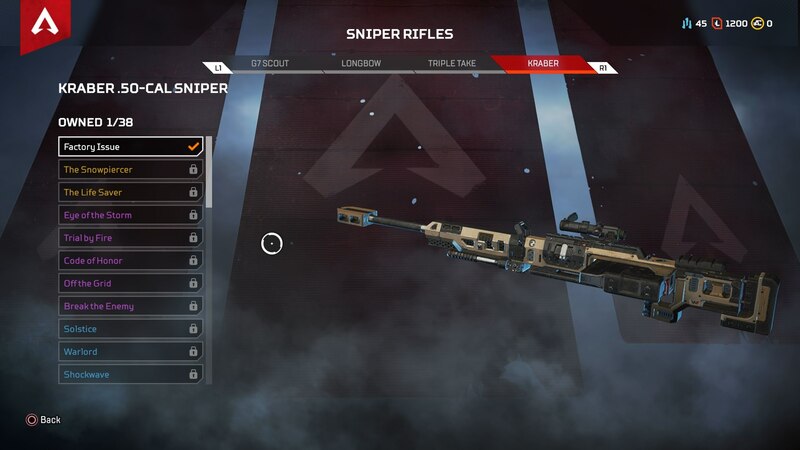 A pretty heavy sniper rifle in Apex Legends, that uses equally heavy ammo. It holds 5 shots in a magazine. This sniper rifle is the only one on the list that uses energy rounds as ammo. Oddy enough, the Triple Take stays true to its name, firing three shots at once in a close horizontal line. Oh boy, it’s the big bad Kraber. There’s no actual record of the ammo that the Kraber uses, so it’s entirely possible that the 8 shots you get when picking up the weapon are the only shots you have with it. This SMG is a fairly slow firing weapon, and it can easily be mistaken for a pistol. It uses light ammo, and can hold 16 shots in a single magazine. 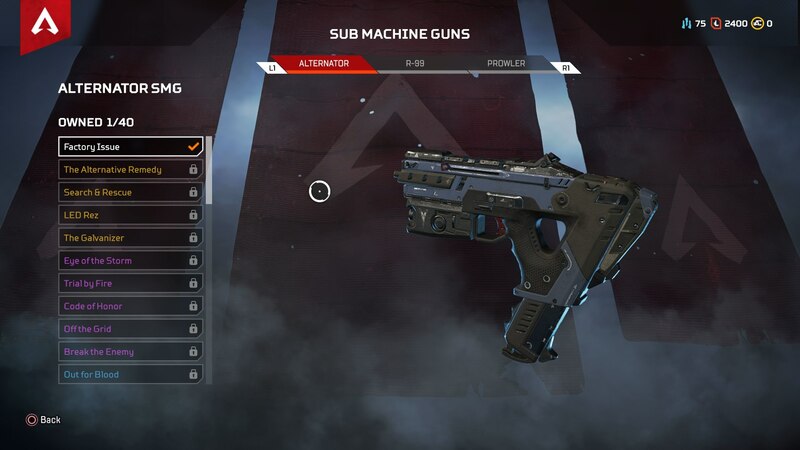 The R-99 is your fairly standard SMG for Apex Legends. It’s a fast firing weapon, uses light ammo, and holds 18 rounds in a magazine. 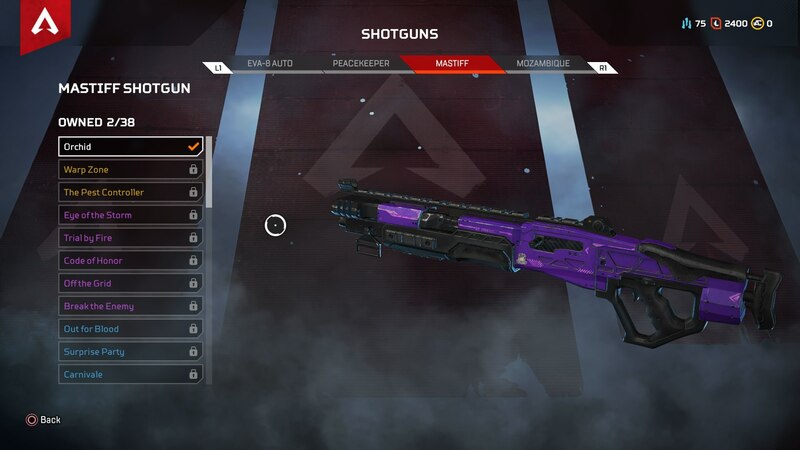 This is the only burst SMG of all the Apex Legends guns, and it fires in bursts of 5. It actually uses heavy rounds as ammo, and has 20 shots in a magazine, meaning you can pull the trigger 4 times before needing to reload. The Devotion is a tricky weapon to use. It takes energy rounds as ammo, and speeds up in fire rate the longer you hold down the trigger. 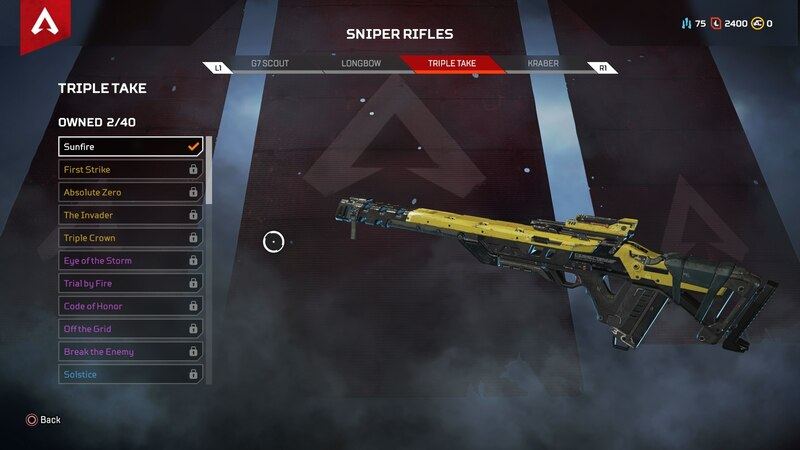 Finally, the Spitfire might be one of the best overall weapons in Apex Legends. It has a solid fire rate, decent accuracy even at range, uses heavy rounds, and holds 35 shots in a magazine. 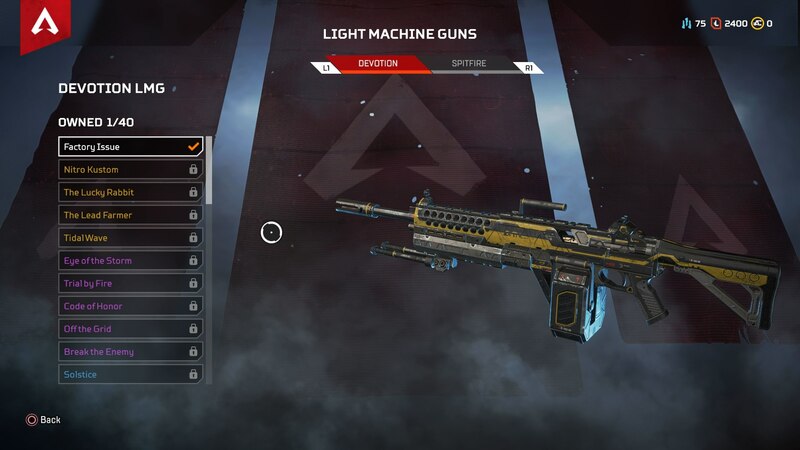 As we've now compiled a complete list of all the Apex Legends guns, we'll rank them in terms of tiers. 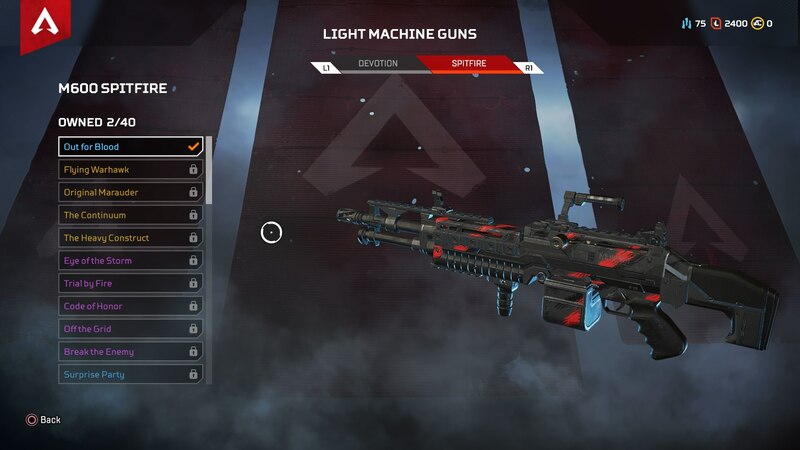 First we'll rank the S tier weapons, these being the best in the entire game, and then the A, B, C, and D tier weapons in Respawn's battle royale game, so you've got an idea of the best (and worst) weapons in Apex Legends. 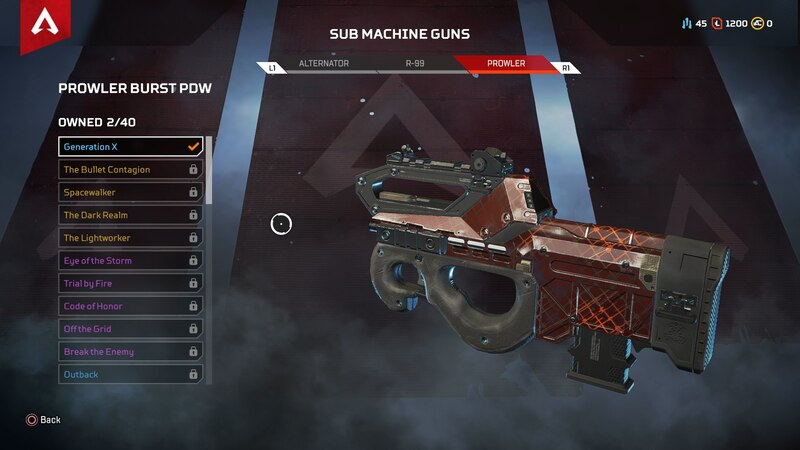 These are the very best guns in Apex Legends, and in our opinion, we think the best guns in Apex Legends are the Kraber, the Spitfire, and the Mastiff, to name but a few. As with every battle royale game, getting your hands on the most powerful weapons available is the key to success. 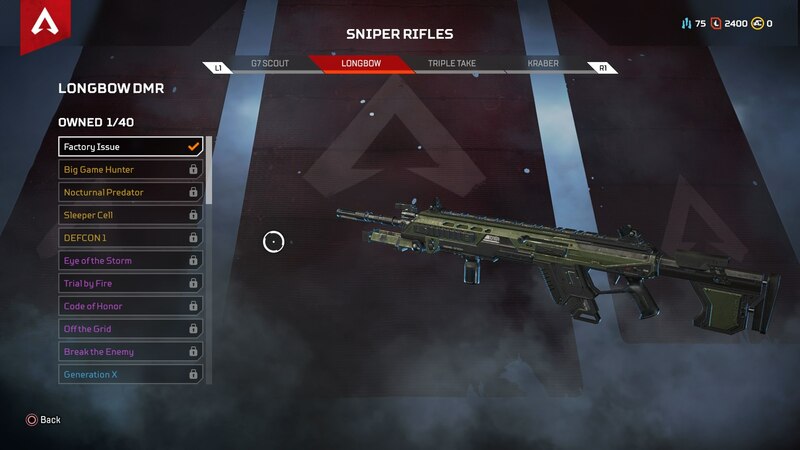 If you can get your hands on a strong sniper rifle or assault rifle in Apex Legends, your squad is going to have a significantly higher chance of winning a game. At the beginning of a match of Apex Legends, you’ll start out with nothing on you. If you want to get your hands on some of the higher-grade weapons and other items in the game, then you’re going to want to keep an eye out for Hot Zones that are marked on the map. 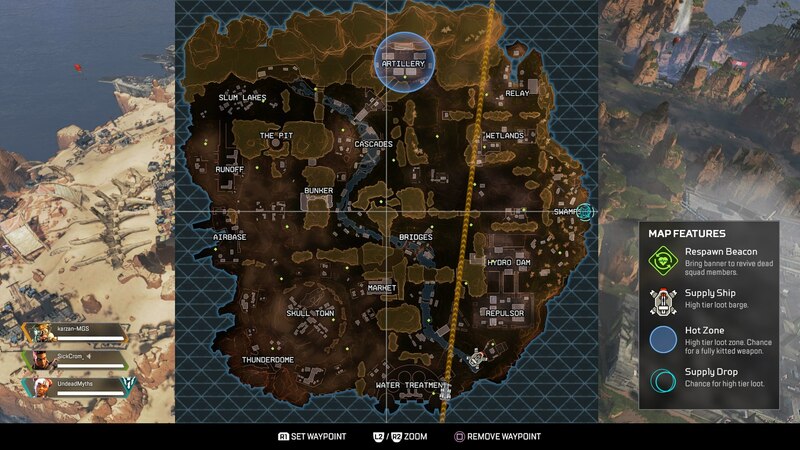 Hot Zones will periodically, and randomly, pop up on the King’s Canyon map of Apex Legends. Whenever one appears, it’ll be broadcast on your map with a marker, but the catch is that the marker for the Hot Zone appears on the map of every single player in the game. 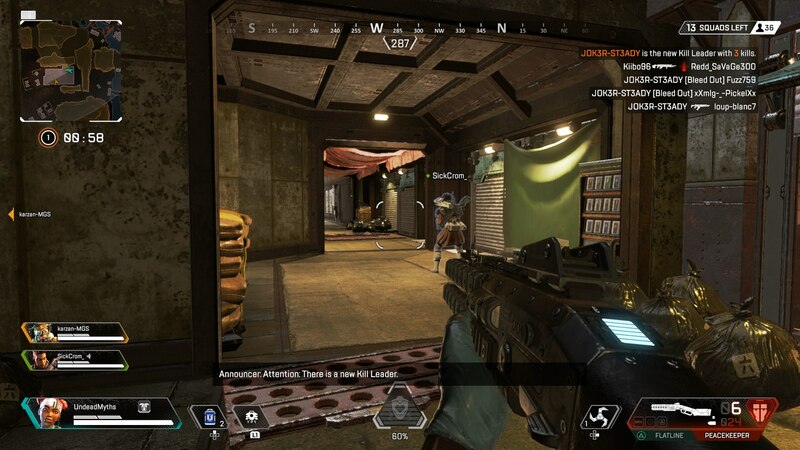 If you want to obtain Epic or Legendary weapons in Apex Legends, you need to be the first to make it to a Hot Zone. The team that arrives first at the Hot Zone can scavenge any of the loot items before additional teams arrive and attempt to claim the items for themselves. It’s a risky strategy, as you could have upwards of 20 players descending on a single Hot Zone at any one time. But by Respawn’s own admission, the best gear in the game is nearly always found within the Hot Zones of Apex Legends. While there’s always an entirely random chance you can find Epic or Legendary weapons scattered around the map of Apex Legends, you’re nearly always guaranteed to find them within the Hot Zone. 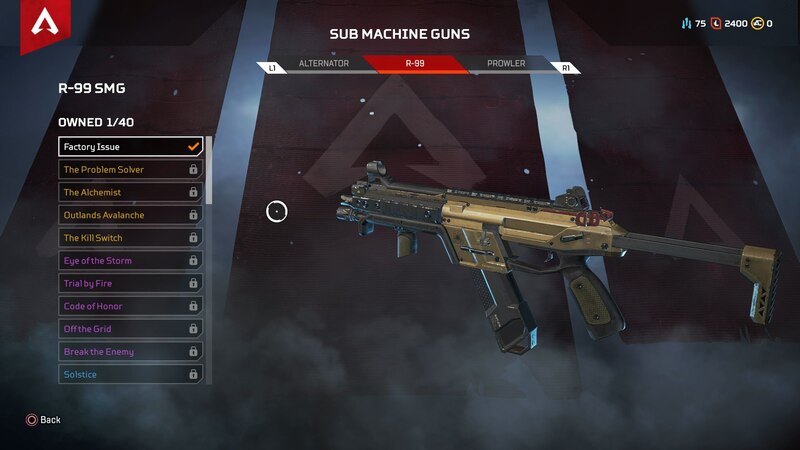 We might now be done with this guide on how obtain some of the best weapons in Apex Legends, but we’ve got additional guides covering various other areas of the game. You can head over to our Apex Legends Packs guide, or our Apex Legends heroes guide for more.